But it was a buzz for all of us at the America's Cup parade, to celebrate the glorious win of the underdogs after 12 long years of trying and the pain of the last attempt. No-one wanted to get behind Emirates Team NZ, after the last débacle, until it was almost within reach, and even then everyone was scared of jinxing it. They did it, though, the whole team together, and they've brought the Auld Mug home again. 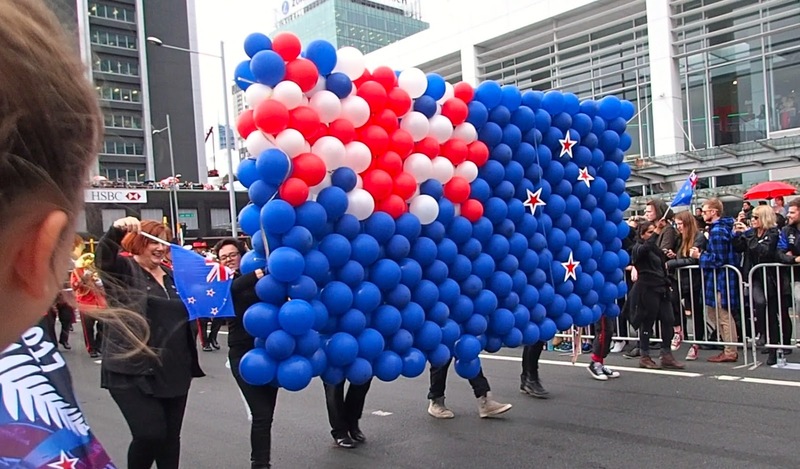 Nobody cared that it was cold, and that it rained really hard, and that we had to stand for ages in sodden shoes waiting for the parade to come down Queen Street, and then again on Prince's Wharf while there were speeches at the Viaduct before the team took to the water. There were pipe bands and acrobats and brass bands and dancers and everyone was happy, and no-one minded about getting wet. The cup's ours again, the boys are home from Bermuda, and in four years' time, Auckland's waterfront is going to be magic. I will pretend that's how "you're" is spelled in NZ.